Theraputic Laser - GREENVILLE ANIMAL CLINIC & HOSPITAL,LTD. 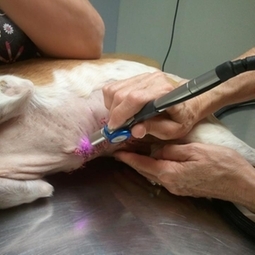 We offer K Laser Class IV laser therapy for your pets. Its beneficial uses include alleviating chronic pain, accelerating healing & rehabilitation and much, much more!